Posted on Wednesday, August 7th, 2013 at 8:09 pm. BlogPaws celebrates senior pets in August and we uncovered this story we are certain will touch the hearts of our community members and anyone who reads it. face a life of abuse at the hands of heartless people. Meyers of Colts Neck, New Jersey, drove to New York to adopt Mac. Still, all was not right in the world. and was able to trust people. take Mac, as he knew all of the issues this helpless pooch experienced. Diane’s bed, barking loudly. He proceeded to the kids’ bedroom and stood firm. realized Mac made it upstairs. many pets in shelters have a life’s mission,” said Diane Deraska Malinowski. for unsung heroes in animal welfare and rescue. need of love and rescue. 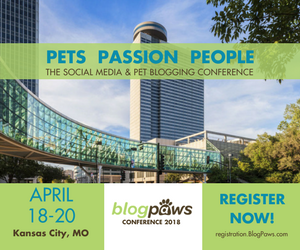 year round with the Be the Change for Pets: BlogPaws movement.